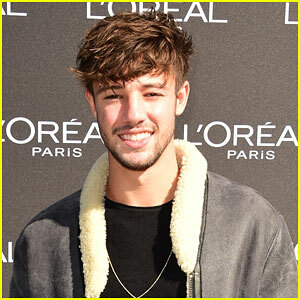 Cameron Dallas Photos, News, and Videos | Just Jared Jr.
Cameron Dallas can’t wait for his niece to be born! 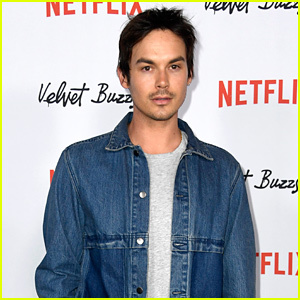 A few months ago, the 24-year-old model and social media star revealed that his sister will be welcoming a little girl later this year. “I’m super excited — I’m so excited to spoil her rotten and dress her up,” Cameron told J-14. He added that the baby girl’s upcoming arrival has also been making him think about the kind of person he wants to be. Not everyone has believed in Cameron Dallas‘ musical abilities. 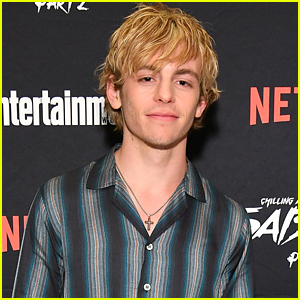 The 24-year-old actor and model recently opened up about pursuing a music career and how a voice teacher didn’t think he had what it takes. “Music’s always been something that I’ve loved and I always wanted to pursue it,” he said. “I’ve been working on it for about three years,” he added. Cameron also talked about what’s coming from his music. 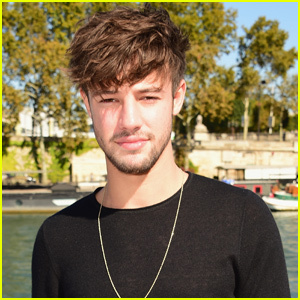 Cameron Dallas just shared a super sweet moment with his future niece! The 24-year-old social media star’s sister Sierra is pregnant with her first child and Cameron got the chance to feel the baby kick! Cameron took to his Twitter to share the video as he felt the baby move around and kick. “Feeling my niece kick in my sister @sierradallas’s stomach for the first time w/ my brother in law @brentmallozzi filming 😊💕 what an amazing thing, she is in her final trimester of her pregnancy and we should be expecting middle of May 😇,” Cameron wrote. We already know Cameron is going to make an amazing uncle! Bailee Madison and Peyton List have another girl’s night out at the 2019 LA Art Show Opening Night Gala held at the Los Angeles Convention Center on Wednesday night (January 23). The two longtime friends joined Cameron Dallas and Cameron Monaghan at the event, which benefited St. Jude Children’s Hospital. If you missed it, Peyton was a guest on Bailee‘s podcast earlier this week, where they opened up about growing up child actors. 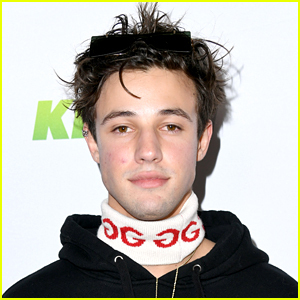 Cameron Dallas is speaking out after he was arrested during his Aspen vacation. The 24-year-old singer and social media star allegedly punched a man in the face and now he faces a second-degree assault charge. 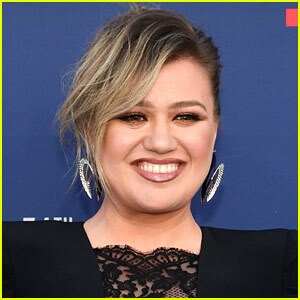 The incident took place on early Saturday morning (December 29) at the Hyatt Residences Grand Aspen in Colorado. When the police arrived, the victim was bleeding and he told investigators that he was assaulted. Cameron was released on a $5,000 bond and is scheduled to appear in court on January 22, according to local news. Many celebs spent Christmas with their families, and our favorite part was all the matching PJs! 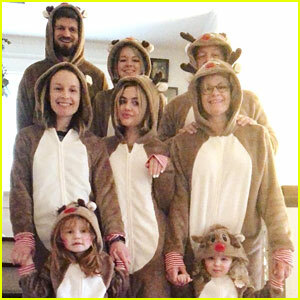 Lucy Hale shared a family photo with everyone wearing deer onesies, and Debby Ryan and her family went for more traditional flannel PJs. Newleyweds Meghan Trainor and Daryl Sabara wore matching “Just Married” hoodies. 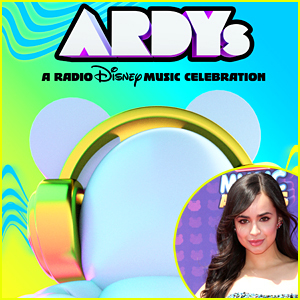 Some of our favorites include Maksim and Val Chmerkovskiy with their family, Laura and Vanessa Marano, Rydel Lynch with her mom and future sister in law Savannah, Cameron Dallas, Yara Shahidi, and many more!